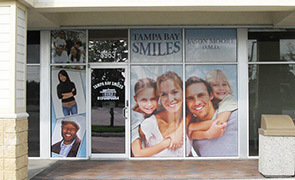 Whether indoor or outdoor, window graphics can be used to drive traffic as well as change the environment of a space. 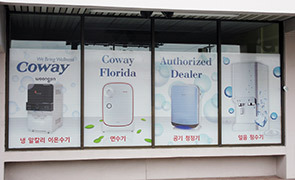 For retail store environments, window graphics are an excellent way to achieve a great look and build sales. Business window graphics are excellent ways to advertise short term promotions, focusing a customer on your most profitable products while giving you a contemporary look and feel. Window graphics are an excellent way to feature your popular products and services, and can be affordably changed to give your space a look that stays current with the times. 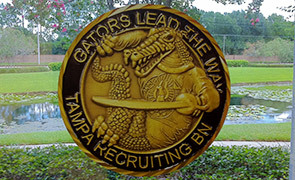 From large window graphics that cover an entire window, to small graphics and temporary window signs, we can help you achieve a great look at Good Guys Signs. One popular product is perforated window film, also known as 1-way film. Perforated window film, or “perf”, can be digitally printed on 1 side with pictures and text to give your windows real pop. From inside, the effect is a very light tint, so people inside see outside clearly. Perforated window film can be regulated in some cities, so it's best to check with your city to determine the maximum window coverage allowed. Vinyl window graphics are customized to your needs. 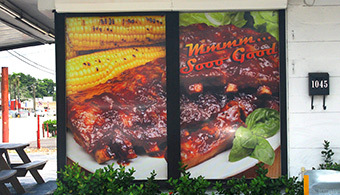 At Good Guys Signs, we have no limitations in building you a window graphics program that will maximize your sales. We have talented designers, and installation services available at reasonable prices for your window decals. We even can consult with you on imaging and styles that demographically target your ideal customer. Window decals can also be used to make an office space look more professional, elegant, or even completely change the atmosphere of a space. 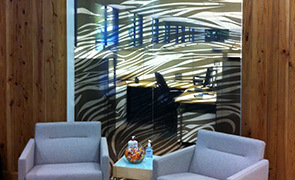 If you look at some of the examples of our work, you will see office spaces transformed by the elegant window graphics. 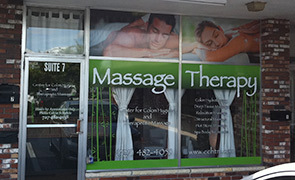 We work closely with you to design a look for your window graphics that is affordable and spectacular. 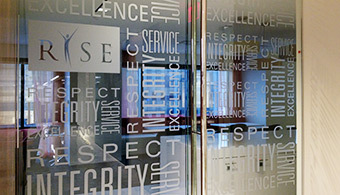 Window lettering is a popular part of window graphics. 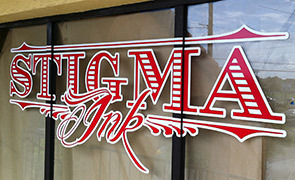 When lettering a window, it's good to use a shop with high end cutters that allow any size or shape graphic to be created. Window lettering can also be digitally printed to any color or look , custom cut to the size and shape you desire, and give you a completely unique look for your space.With a huge assortment of pre-dyed vinyls to choose from, Good Guys Signs can create an amazing look for your windows at a very affordable price.